The American Red Cross serving the Coachella Valley/Morongo Basin has been busy teaching local people fire safety and installing free smoke alarms. Seven times a day someone in the U.S. dies in a home fire. The goal is to reduce the number of deaths and injuries due to home fires by 25 percent. The Home Fire Campaign is a nationwide movement and involves Red Cross workers joining with local fire departments and community groups to visit neighborhoods at high risk for fires. Besides the installation of free smoke alarms, residents are instructed in both English and Spanish what to do if a fire should break out. The campaign is well worth the efforts of the Red Cross, as installing smoke alarms cuts the risk of someone dying from a home fire by 50 percent. In addition, the Red Cross deals with nearly 66,000 disasters/year in the U.S. with the majority being home fires. Create a home fire escape plan. Work with all family members to create a home fire escape plan, and practice it several times/year at different times of the day. Include 2 ways to exit every room and consider fire ladders for elevated rooms. Families should agree on where to meet outside after they’ve exited the home. Install smoke alarms. Smoke alarms should be inside and outside of sleeping areas on all levels of the house. Conduct tests monthly and replace batteries as indicated. For additional information, please visit RedCross.org/homefires or download the Emergency App at RedCross.org/apps. 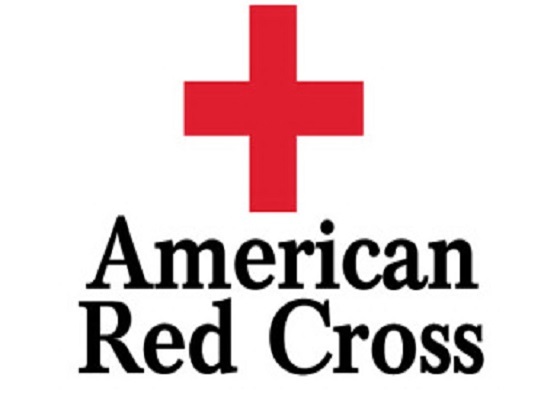 The American Red Cross shelters, feeds and lends emotional support to disaster victims; provides about 40 percent to the nation’s blood supply; teaches skills that save lives; offers international humanitarian aid, and supports members of the military and their families. The Red Cross is a not-for-profit organization depending on volunteers and the generosity of the American public to perform its mission. To support the Red Cross, reach out to Brian Daly, Director of Major Gifts – Coachella Valley & Morongo Basin, at 39665 Entrepreneur Lane in Palm Desert, or by calling (888) 831-0031 ext. 3003, or (310) 562-6327. His e-mail is Brian.Daly@redcross.org. Article submitted by Red Cross volunteer, Dr. Simone Ravicz, who is a Certified Business and Life Coach, Brain Coach and multiple international bestselling author. She can be reached at srpsydr@gmail.com, (760) 327-8305 or online at SuccessBrainCoach.com.